Set-Up Guides - Spot Weld, Inc. Determine weld nut torque specs and download our fasteners catalog. We make the assumption that the weld on the welded nut/stud should be stronger than the fastener itself. Therefore, if you’re wondering what the torque specification should be for your weld nut, simply determine the torque capacity of the fastener itself. 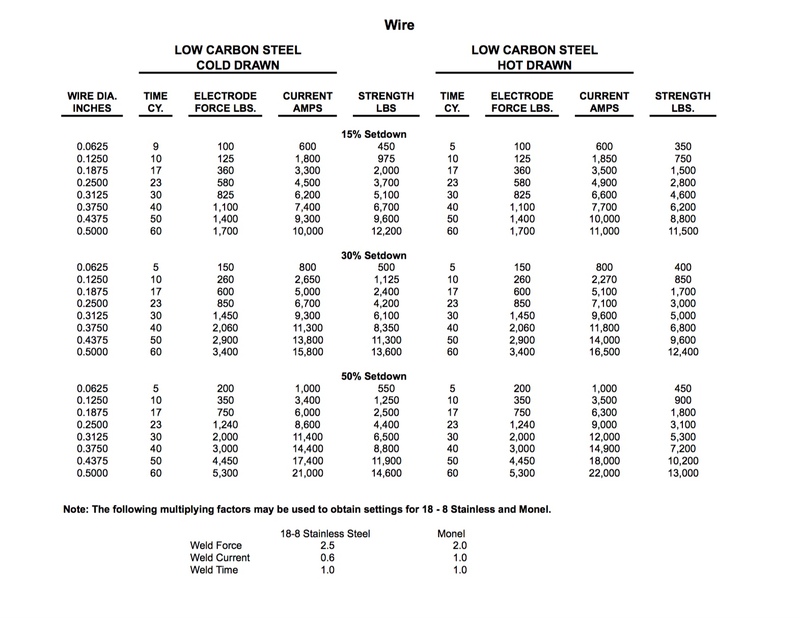 These are the specifications we use when sizing a welder. Here is a catalog of some of the available resistance welding fasteners (click link below). Please contact us if you need assistance selecting which is right for you.